My oldest child is a reluctant writer. As a homeschooling mom and an author, that’s really hard for me. I want him to share my passion! He is the kind of kid who needs a little push to get started when it comes to writing. I know a lot of kids have similar struggles when it comes to creative writing. 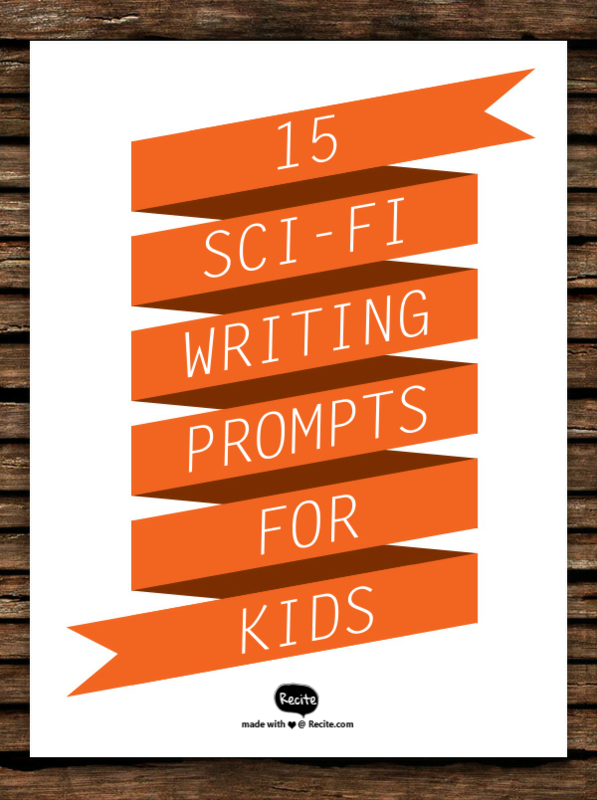 Sci-Fi can be a great way to pull in some kids who may not usually want to engage in creative writing. With that in mind, I compiled this list of fun Sci-Fi writing prompts. I hope you and the little ones in your life enjoy them. Imagine you wake up on a strange planet. What might you find there? How would you get home? A strange creature followed you home from the park. It’s green, has three heads, twelve eyes, and scales. It seems to be friendly. What do you do? You found an alien spacecraft in the woods behind your house. Would you fly it? If so, where would you take it? There is a portal to another dimension in your laundry room. What adventures do you have in this new land? A 45 foot tall flamingo has moved into your neighborhood. What do you do? One day, you build several alien creatures with Lego. You begin to think that they come alive when you are not looking. What might they do when you turn your back? You’re an astronaut on a mission to Mars. What do you see on your long journey? Your dog speaks to you one day and tells you that he’s come from the future to prevent you from making a mistake. Do you listen to him? You have a dream about a strange land where everything is yellow, there is little gravity, and everyone speaks in riddles. When you wake up, your house has turned yellow. What do you do? You keep hearing a strange noise in your closet. You get brave and check inside. What do you find? You find out that if driven in reverse, your mom’s minivan can take your to the past. What time do you visit? For your birthday, you godfather gives you a jetpack! What do you do with it? While playing in the park, you find a green egg the size of your head. What hatches from it? You begin to suspect that your karate instructor is actually a cyborg. What do you do? Thank you! I love teaching my kids creative writing.